It’s a given that potential renters can expect some scrutiny from landlords taking tenant applications. Credit histories, references from previous landlords and other information become fair game in the quest to find reliable, solvent, non-destructive tenants for your investment property. But now, a number of websites are allowing renters to investigate their landlords too, as users upload information, warnings and anecdotes about their experiences as renters in cities around the country. “Rating” sites are not new – a number of websites offer opportunities to review everything from restaurants to teachers, and comments can range from the informative to the vitriolic, with few controls on the accuracy of what’s posted. So it’s not surprising that landlords would become the target of the trend as well – and that’s why some rental property investors view these sites with some concern. Many landlord rating sites are highly localized, focusing on a particular region or market WhoseYourLandlord, sponsored by a group of Temple University students who really should know their grammar better, is designed to help collegiate renters near the school, while LandlordRatings targets areas in New York. Others, such as PickALandlord,RateMyLandlord, and TenantNet, have a national reach, allowing users to search by region and city. Landlord rating sites typically have a listings page where users can search for landlords by either the landlord’s name or the property name. New landlords can be easily added by any user with a story to share. Some feature four or five star rating systems or similar mechanisms for a quick overview, and a comment board or forum for more detailed discussion. Commentary on landlord rating sites typically includes anecdotes recounting problems with landlords such as failures to fix broken appliances and make repairs and inappropriate or illegal landlord behavior. Users advise each other on legal options and offer resources for help solving a variety of problems such as fighting evictions and getting deposits back. Do these sites help or hurt? Renters see them as a form of empowerment. As one renter pointed out on TanantNet, “Landlords get to find out all kinds of things about us, so it’s only fair.” And certain populations such as the Temple U students who may face discrimination on the basis of age or other characteristics are looking for ways to “out” the culprits to other would be renters. On the other hand, landlords can be the victims of smear campaigns by disgruntled renters, with no way to set the record straight. 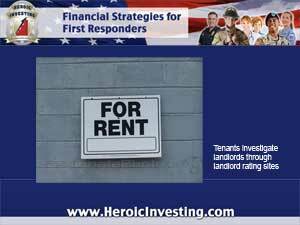 Rental incomes can suffer too if postings on a board warn renters away from a particular property or owner. And although positive comments and good ratings pop up too, most people post to talk about a negative experience.